On 29th August 2013, the House of Lords was recalled to take note and debate the use of chemical weapons in Syria. The Archbishop of Canterbury, the Most Revd and Rt Hon. Justin Welby, spoke during the debate. He urged that all intermediate steps before opening fire should be taken and expressed concern that intervention from abroad would declare open season on Christian communities in the country and wider region, which have already been devastated. He argued that such a consequence needed to be balanced against the consequences of inaction and that intervention would have to be effective in preventing any further use or promotion of chemical weapons and make it more possible for Syria and the Middle East to be places without millions of refugees. The Archbishop of Canterbury: My Lords, I welcome very much the opportunity to speak later in this debate because of the extraordinary quality of many of the contributions that have been made and how much one can learn by listening to them. Like many noble Lords I have some experience in the region, partly from this role that I have and from recent visits and contact with many faith leaders of all three Abrahamic faiths, and through 10 years of, from time to time, working on reconciliation projects. On 25th July 2013, Lord Harrison led a debate in the House of Lords to take note of the contribution of atheists and humanists to United Kingdom society. The Bishop of Birmingham, the Rt Revd David Urquhart, welcomed the debate and the contribution of humanists and aetheists to the common good. He hoped that the debate would challenge intolerant tribalism and noted that people of faith, atheists and humanists had in common a desire to explore profound questions about life. On 23rd July 2013, tributes were offered by the House of Lords to Her Royal Highness the Duchess of Cambridge, on the birth of her son. The Bishop of Birmingham, the Rt Revd David Urquhart, led tributes on behalf of the Lords Spiritual. 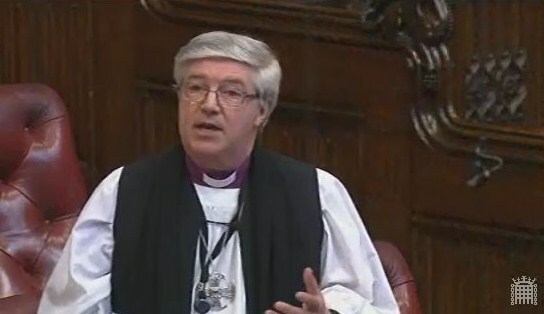 The Lord Bishop of Birmingham: My Lords, the day’s proceedings in your Lordships’ House begin far too often with the announcement of a death. My friend the most reverend Primate the Archbishop of Canterbury and my other colleagues on this Bench regret not being present today because they are attending the funeral of the late Bishop of Coventry, Colin Bennetts. None the less, it is a wonderful joy and delight for us to join in the words of colleagues in this House as we pause to celebrate the birth of a new baby. Their Royal Highnesses the Duke and Duchess of Cambridge can be assured not simply of the congratulations, prayers and good wishes of those who occupy this Bench but, I am sure, the whole of the Church and faiths in England and the rest of the country. On 18th July 2013, Baroness Prosser led a debate in the House of Lords on the future of civil society. 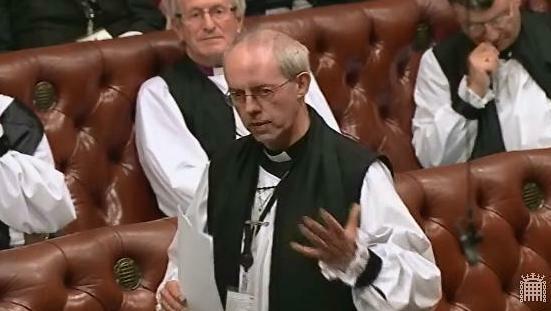 The Bishop of Derby, the Rt Revd Alastiar Redfern, spoke during the debate. The Bishop concern that as the traditional elements of civil society – family, nation and church – had become weak, civil society had become an elective exercise and that people now had to be persuaded to come together to create the energy and momentum for human flourishing. 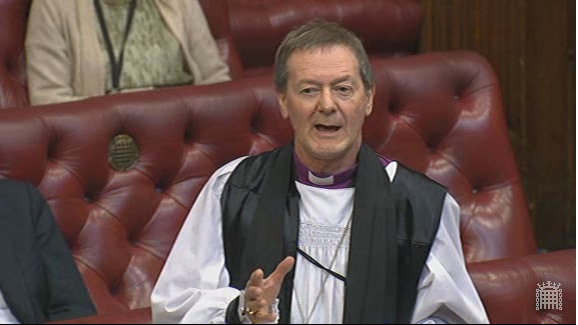 The Lord Bishop of Derby: My Lords, I, too, thank the noble Baroness for securing this debate. I shall pursue the definition that the noble Lord, Lord Hastings, began to open up in his speech with the notion of the three legs of the stool and what civil society means. I start from the presupposition that we live in an age of liberalism in the technical sense; that is, we are very concerned for the individual to be free, and to be liberal about all those freedoms. Those freedoms are very good things, but any good often creates a problem. 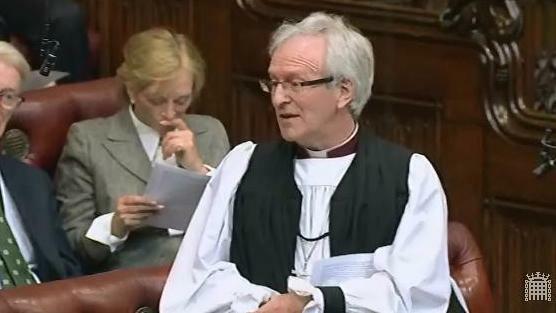 On 17th July 2013, Lord Bach moved a motion to regret on the Civil Legal Aid (Financial Resources and Payment for Services) Regulations 2013.The Bishop of Norwich, the Rt Revd Graham James, expressed concern that the level at which permitted disposable capital was set would render some older people in particular less capable of securing legal aid without selling their homes. He hoped that if vulnerable people’s access to legal representation were damaged by the regulations the government would change course on humanitarian grounds and not defend the regulations on the basis of a flawed ideology. The Lord Bishop of Norwich: My Lords, a key reference in this Motion of Regret is to “vulnerable people”, which is why this non-lawyer dares to stand amid such legal luminaries and feels a bit vulnerable himself. On 11th July 2013, Lord Patel led a take-note debate in the House of Lords on future models of funding of health and social care in England. The Bishop of Derby, the Rt Revd Alastair Redfern, took part in the debate. The Bishop spoke of the need to develop community-based approaches to health and social care and called for a more holistic and whole-life approach to their provision. The Lord Bishop of Derby: My Lords, I, too, congratulate the noble Lord, Lord Patel, on securing the debate. As we have heard from all speakers so far, there is a strong narrative about how precious the NHS is, how high public expectation remains and the problem of rising costs—it’s own health check has just been referred to. I want to talk a little about care systems and the models that we might need to develop. Experience on the ground tells us that care systems are very fragmented. As systems such as family stability collapse, many people are isolated and struggle to access care and health services. The current system is very skewed towards the delivery of episodic interventions around particular crises. We need to look below that. We need to step back and see how we can create a culture of engagement, support and well-being for people that puts those episodic interventions in a different context and perhaps provides a context in which they would be less necessary and less frequent. I shall raise some questions about models and capacity, not least in relation to the elderly. On 11th July 2013 the Bishop of Derby, the Rt Revd Alastair Redfern, took part in Lord Storey’s take-note debate to ask Her Majesty’s Government what plans they have to support and promote the impact of music upon tourism. The Bishop spoke of the many local musical events that deserved to be highlighted in tourism material, including those in English cathedrals and churches and called for greater Government support for such events and traditions. 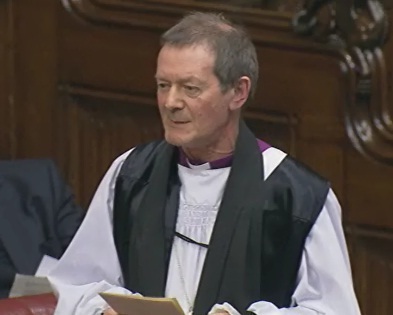 The Lord Bishop of Derby: My Lords, I, too, congratulate the noble Lord, Lord Storey, on securing this debate. The noble Lord, Lord Clement-Jones, mentioned the iconic Rolling Stones concert in Hyde Park in 1969. Perhaps I should put on record the fact that I was there. As we have just heard, music is not only important but a much underrated offer that we make to the rest of the world through tourism. When people come here for music tourism, they engage in making community and in being joined with others in a common culture through hearing a common language. Such things are very important for us to offer across the world as well as across the regions in this country. It is important that we do not just measure its significance in terms of economic impact, although that is important, but that we recognise a cultural, human hinterland that is enriched from Plato onwards and we must be proud of it and contribute to it. The VisitBritain document, Delivering a Golden Legacy, identifies four principles to encourage this kind of tourism. The first is to recognise our international image, which is about heritage, arts and music—as the noble Lord, Lord Black, mentioned. The second is to develop an overall product so that performance, hotels, shopping and local businesses are all connected. The third is to be ambitious in our invitation and the variety that we offer. Fourthly, tourism needs to be embedded in other strategies for other sectors. Many noble Lords have spoken in this debate to illustrate some of those principles.